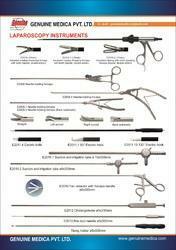 GMPL offers laparoscope set of all variants in affordable range . Our HD Laparoscopy Set are immensely popular because of its aggressive pricing and high-end quality. Our clients remain our true patrons for years as we do not believe in astronomical profits . Our policy of no profit no loss when it comes to servicing has paid off in a big way. We have been able to create huge base of satisfied users. Brilliant image, extreme light sensitivity and excellent color reproduction due to separate RGB(red, green and blue) image acquisition channels. Cymo "5D Action" control technology offers the greatest operational flexibility to the users. The advanced digital image processor provides precise color reproduction by using 12 elements in color matrix. The 10bit digital HD-SDI delivers an uncompressed digital video signal without any loss of informaiton. 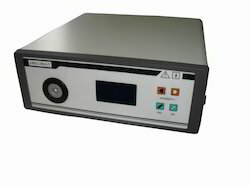 The digital HD-SDI output can be directly connected to a digital high definition video monitor or to a digital frame grabber. The camera offers 5 endoscopy modes for using different type of endoscopes or preferred settings for 5 users. digital indication of set pressure from 0-30mm hg. 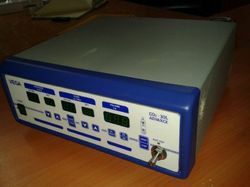 digital indication of intra abdominal pressure. digital indication of set and actual flow from 1 to 30 liters/minnute. digital indication of total volume consumed 0 to 99 liters. pulsatile flow of gas in veress mode. non-pulsatile flow of gas in trocar mode. 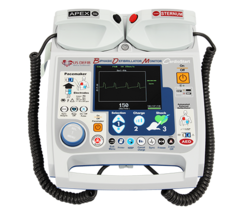 auto cut-off and restart on abdominal pressure reaching set value. universal regulator to accept any size of co2 cylinder. in-built filter of curtail pollutants from cylinder gas. safety valve in regulator acting as an auto blow-off for excess co2 pressure in cylinder. feather touch switch to change on to air mode. dual system operation (manual and through remote control). 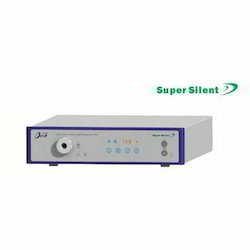 voltage 230v a. C. 50hz ± 10%. silicon autoclavable tube set. Anti-microbial filter. High pressure hose (pvc tube). Pressure gauge regulator. Universal wrench (spanner). Power code. 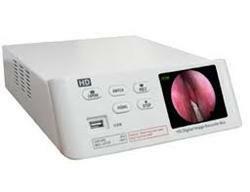 The Endoscopy camera 1150 is a low-cost ultra-high sensitive endoscopy camera. With the latest CCD technology, the 1150 camera provides two times higher sensitivity compared to conventional CCD cameras. This substantially reduces the requirements to the light source. The camera incorporates a 10bit digital image processor which offers superior colour rendition and high dynamic range. The excellent price-benefit ratio makes the 1150 an ideal camera for portable endoscopy use. We offer our clients high quality Detachable Operating Forceps, which are extensively used in various Medical Institutions and Hospitals. 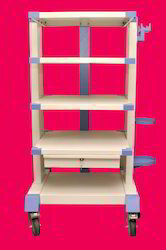 These are sourced from reliable vendors and are known for features like durable finish, sturdy construction and longer service life. In order to meet the industry requirements, these are offered at competitive prices. The camera also incorporates a 10 bit digital image processor that offers an excellent color rendition as well as high dynamic range. Automatic white balance via a push button current setting stored in a memory. The camera also offers four detect windows (A-D) in order to optimize the illumination condition for both small and large telescope. The digital anti-moire function can also decrease the moire effects while using the camera with a fiber endoscope. 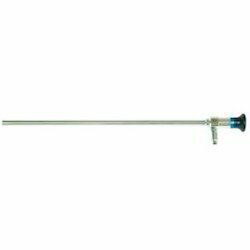 The soakable camera head is perfect for most of sterilization procedures like fully immersible in cleaning as well as disinfectant solutions, starred, steris and ETO. Two control buttons is placed on the front panel of its control unit that optimally decrease the complexity of use. With the backlight of its control buttons, the control function is also easily accessible in a dark room like an operation room. An optional digital video output interface is provided, which is based on IEEE 1394 industry standard (also known as Firewire, or ilink), offers seamless digital video connection to the most digital video recorders and also computers or laptops. No driver is required for either a Mac computer system or a windows XP . 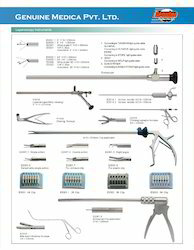 Looking for Laparoscope Surgery Set ?